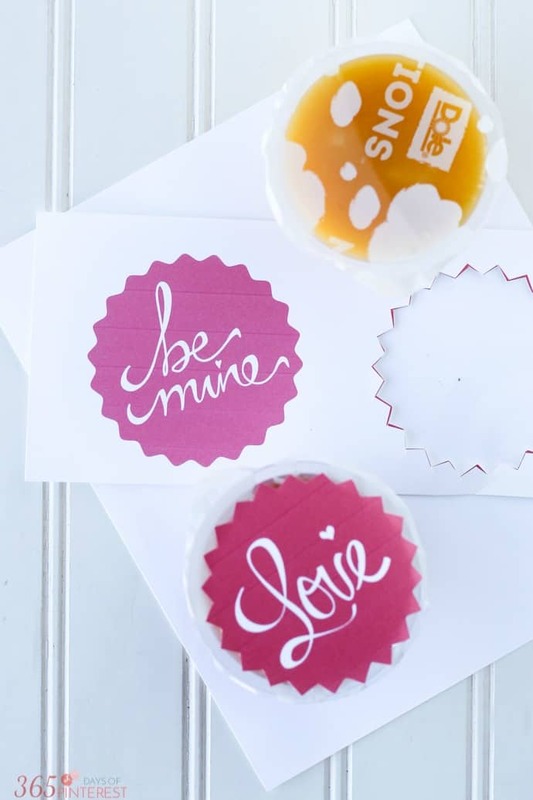 Share a fun and healthier Valentine’s Day treat with these printable fruit cup toppers! I have boys. Three of them. Among the many holidays we celebrate through the year, Valentine’s Day is not near the top of the list. Hearts, glitter, pink, lace…there’s just not much of it around here. You know how you’re supposed to build and decorate a mailbox every year for collecting valentine’s from classmates? My boys hate doing that. They are totally satisfied with a plain cereal box. No decorations necessary. They don’t even care about getting valentines, to be honest. The only upside is getting candy. However, like most schools, the teachers are now requesting “non candy” treats for occasions like Valentine’s Day. I wanted to come up with a healthier option than candy and not some toy that would just fill up a junk drawer. 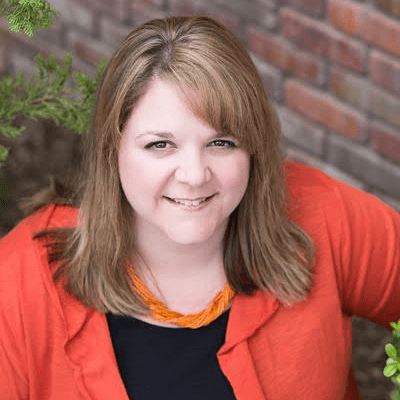 New DOLE Mixations® to the rescue! 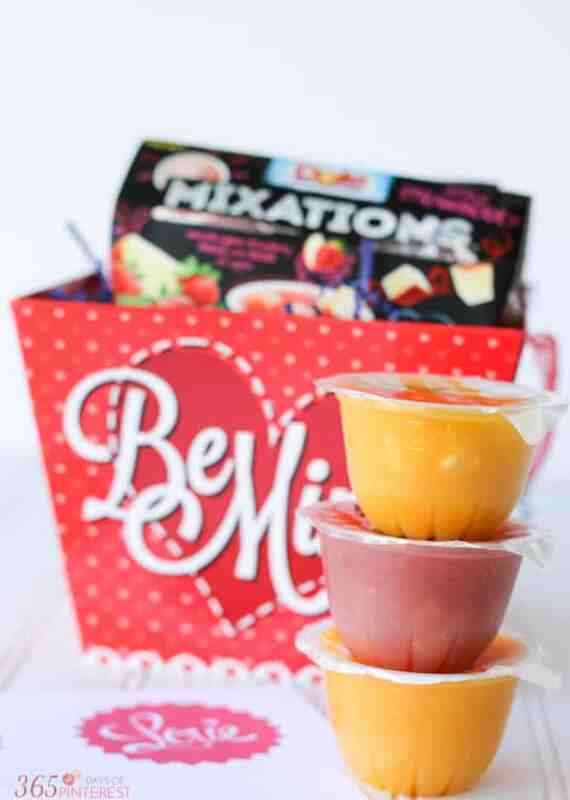 DOLE Mixations are like a cross between a fruit cup and applesauce. Instead of fruit chunks in syrup, they are cups of fruit in sauce. (Which is nice, because they make less of a mess than fruit chunks in syrup!) My personal favorite is Apple Strawberry sauce with diced apples. That and the Apple Raspberry flavor will be perfect for Valentine’s Day class parties-they’re pink! 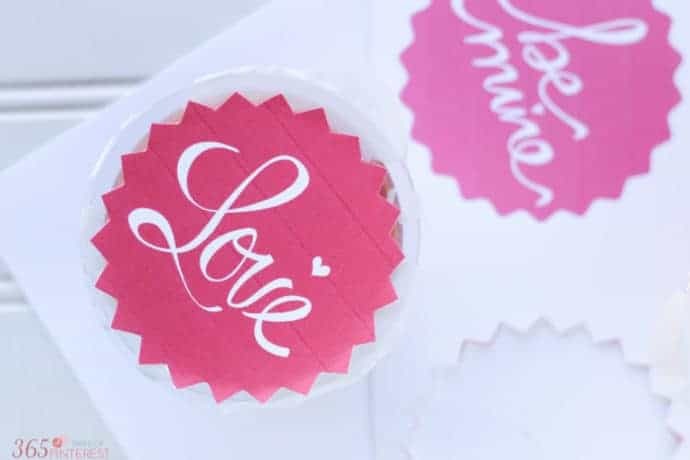 🙂 Just download these free printable cup toppers and your class valentines are DONE. Easy peasy! 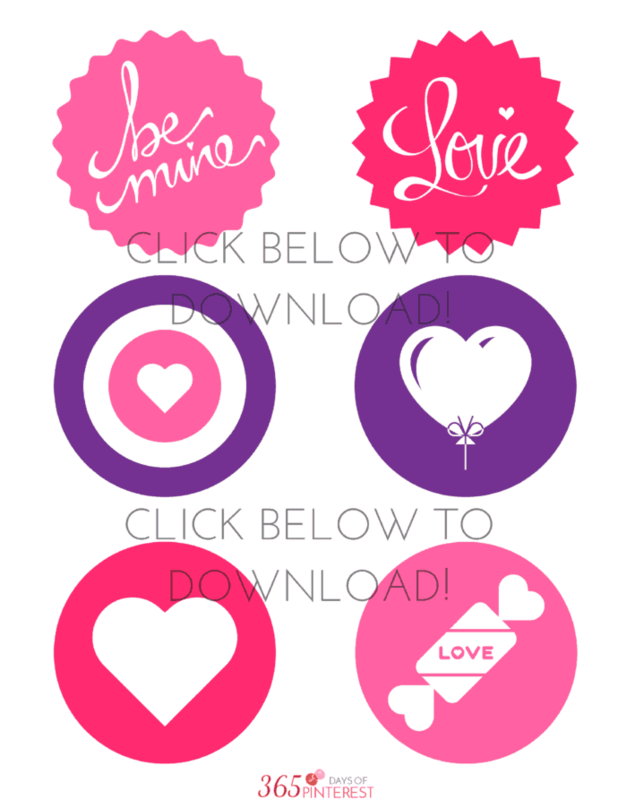 You can use a 3″ punch to quickly and easily cut these out, or just old fashioned scissors like I did. Just attach to the top of the DOLE Mixation cups with a piece of double sided tape. The other fun feature of these fruit cups is the lid. You can write or draw on them with a permanent marker! I used a fine point marker to write on a few just to see how it works. You don’t want to use a regular pen or marker-the ink will smear. Permanent marker works great, though! Visit Dole Sunshine to get a coupon for $1 off any package of DOLE Mixations. 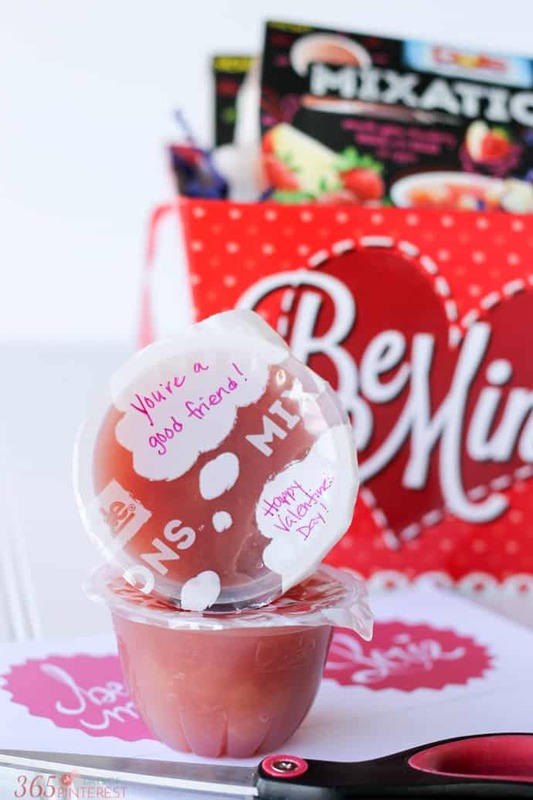 This may just be the easiest and least expensive class Valentine’s Day party ever!